Baxter County Animal Clinic is proud to serve the Mountain Home AR area for everything pet related. Our veterinary clinic is owned and run by Dr. Sarah Shedenhelm, who is a licensed, experienced Mountain Home veterinarian. Dr. Snodgrass opened the clinic in 1973 as a mixed animal practice. In 2000, he began seeing exclusively small animals. In January of 2019, the practice was sold to Dr. Shedenhelm. Our clinic is happy to be able to offer in house blood work and digital x-rays. Our state of the art blood machines allow us to run several different tests in-house and receive results in as little as 10-20 minutes. The digital x-rays allow our vets the ability to review results just moments after an x-ray is taken. 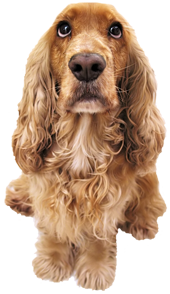 This allows our staff to quickly and accurately diagnose and treat your pet. Baxter County Animal Clinic has been working with the Humane Society of North Central Arkansas, as well as other animal rescue groups, for several years. We offer these groups discounted spay/neuter surgeries and vaccinations in order to help them save more animals. Our team is committed to educating our clients on how to keep your pets healthy year round by stressing the importance of vaccines and preventative care. Our staff knows the importance of providing your pet with a friendly and caring environment during every check-up, procedure or surgery.